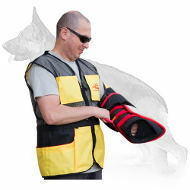 Do you spend much time training your dog and want to make it not only effective for a dog but comfortable for you? Don't you like to be exhausted during long training session when using heavy equipment? 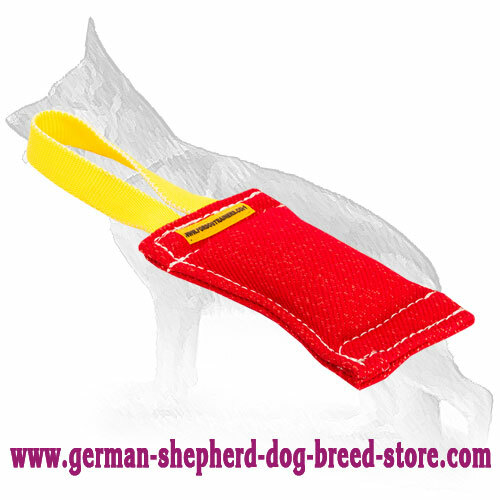 You are offered to look at French Linen Bite Tug, which will be a perfect solution for you and attractive training supply for your German Shepherd. It features light weight and colorful material, durability and comfortable usage, safety for both handler and canine. 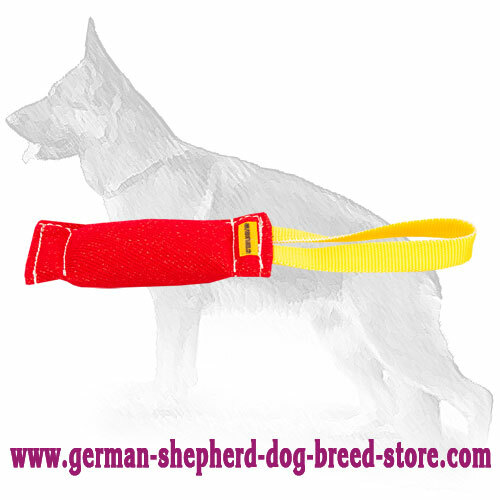 It will become a real help in teaching your dog obedience and developing his inborn instincts. 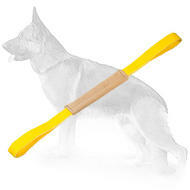 What is so special about this Puppy Training Bite Tug with One Handle. 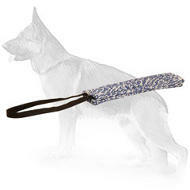 This bite tug is made of French Linen, durable material intended for biting. 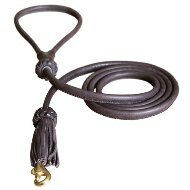 To prolong its service life, the best craftsmen manually stitch the item along the edges. 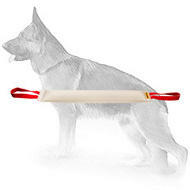 Develop your dog's bite skills and be sure the tug won't be torn. 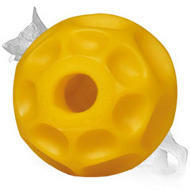 But remember, that it is not meant for chewing. 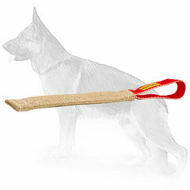 The pet may destroy it and you won't be able to use the tug as a training tool. French Linen cover and proper stuffing are friendly for dog's teeth. 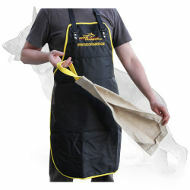 It is very comfortable and safe in use. 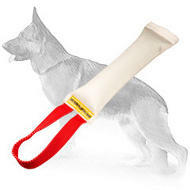 Comfy handle the tug is equipped with gives you feeling of confidence and allow you to control the situation. 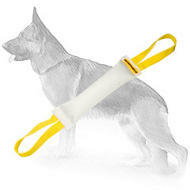 It is a perfect tool to introduce your pup to the bite work and help you to stimulate prey drive. 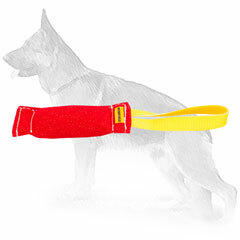 Choose this incredible Bite Tug and enjoy your adorable puppy's first steps on his way to success.